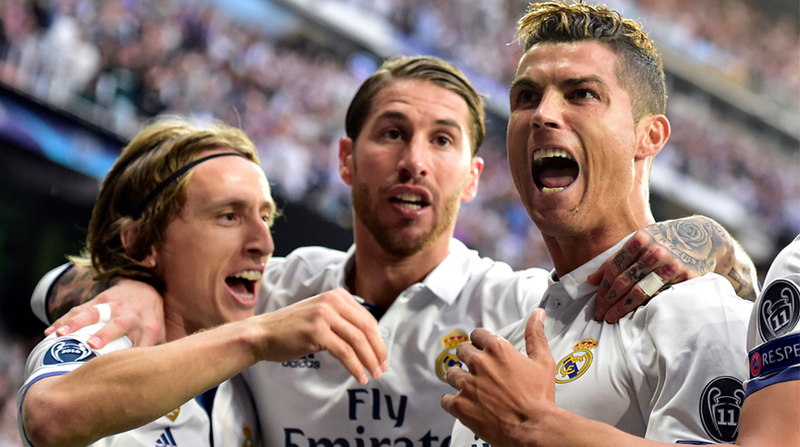 Real Madrid and Juventus, finalists of the 2016-17 Champions League, face-off in the first leg of their quarter-final of this season on Tuesday. Real Madrid won 4-1 in the final in Cardiff last season, but Real Madrid coach Zinedine Zidane has already warned that the tie will “be nothing like” that game and that the record Italian champions are perhaps more dangerous over two games than in a single match as in the case of the final, reported Xinhua news agency. With his side 13 points behind FC Barcelona in Spain’s league, Zidane is taking no chances and rested key players such as Toni Kroos, Cristiano Ronaldo, Marcelo, Dani Carvajal and Sergio Ramos in Madrid for Saturday’s 3-0 win away over Las Palmas. Isco missed the trip to the Canary Islands with a slight physical problem, but will be fit for Tuesday night, presenting his coach with a selection problem as he tries to fit Ronaldo, Bale, Karim Benzema, Marco Asensio and the midfielder into the same side. Isco scored a hat-trick for Spain against Argentina a week ago and then sent a barbed message to the Real Madrid coach in his post-game interview, implying he would like to start more big games. Bale and Benzema both scored at the weekend to complicate Zidane’s choice, while Asensio was decisive in the last round against Paris Saint Germain. While Zidane has to work out who to shoehorn into his attack, the midfield and defense virtually picks itself with Keylor Navas in goal, protected by a back line consisting of Carvajal, Ramos, Rafael Varane and Marcelo and a midfield made up of Casemiro, Luka Modric and Kroos. Nacho Fernandez has been ruled out of the tie with the confirmation he will miss the next three to four weeks of competition due to a thigh injury, meaning Jesus Vallejo will provide defensive cover from the bench. Juventus go into the game on a high after beating AC Milan 3-1 at the weekend and will have former Madrid striker, Gonzalo Higuain, who came in for heavy criticism following Spain’ s 6-1 win over Argentina a week ago, in the side. Juventus coach Massimilliano Allegri has already warned that Madrid only need “to make three passes to create danger,” while the club’s veteran goalkeeper, Gianluigi Buffon commented that although he “dreams of winning the Champions League, history has shown Madrid are the best”. However, the veteran also said Juventus have to play to their strengths in order to beat Madrid, which implies that Spanish side will have most of the ball, but will have to work hard to break down the Juve defense and watch they don’t get caught on the break. Allegri has worries in both defence and midfield as Medhi Benatia and Miralem Pjanic are suspended for this game. Indications are that young defender Daniele Rugani may play in place of Moroccan Benatia, as veteran Andrea Barzagli played against Milan on Saturday. Allegri may opt both 36-year-old Barzagli and 23-year-old Rugani to partner vice-captain Giorgio Chiellini in a three-man defence. In the midfield, the choice for Allegri is between veteran Claudio Marchisio and youngster Rodrigo Bentancur. Experienced Blaise Matuidi and Sami Khedira are guarantee in the midfield. In attack, Gonzalo Higuain, Paulo Dybala and Douglas Costa are certainties and if Allegri prefers a two-man midfield, Colombian Juan Cuadrado may come into picture. Croatian attacker Mario Mandzukic may miss the game due to injury.